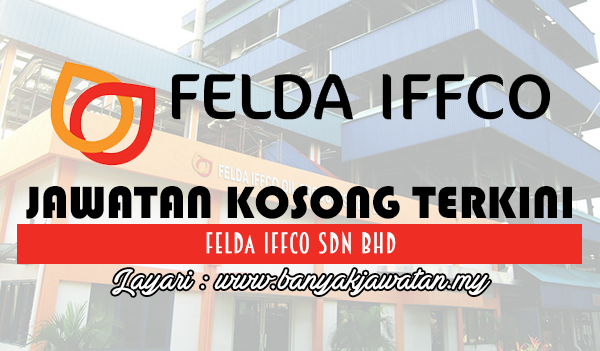 FELDA IFFCO is a joint venture company between FELDA Global Ventures Holdings Sdn Bhd and IFFCO Holdings Limited. This partnership between FELDA, Malaysia's largest diversified plantation based organization and IFFCO Holdings Ltd., UAE's leading manufacturer and marketer of a wide range of fast moving consumer goods and industrial food products in the Middle East and Africa. We create a company with expertise in manufacturing and distribution that is capable of fulfilling every requirement of the growing global fats and oils industry. 0 Response to "Jawatan Kosong di FELDA IFFCO Sdn Bhd - 27 January 2018"